St Peter and St Paul has many early 18th century gravestones and one or two from the 17th century. Where the inscriptions are eroded the survey undertaken by Leland Duncan in 1921 and published by the Kent Archaeological Society at http://www.kentarchaeology.org.uk/Research/Libr/MIs/MIsSeal/01.htm has been used to supply missing information. 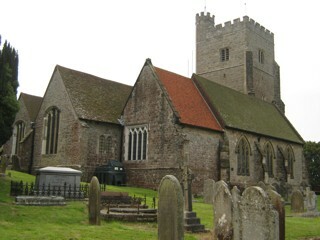 This site also has a sketch plan of the churchyard for those wishing to locate a particular grave. All of the accessible monuments within the church and the majority of pre 1945 gravestones in the churchyard have been photographed. The GPR holds 470 grave and 1159 person records for the burial ground.